South Korean authorities plan to question the defector over the details of his escape. The Joint Chiefs of Staff said it had not observed any unusual activity from North Korean troops in the area where the defection happened. It comes as North and South Korea have pushed to implement a wide-ranging military agreement reached in September to reduce tensions across their border. The North's official media has not reported about Saturday's case. Pyongyang has frequently accused Seoul of kidnapping or enticing its citizens to defect. The soldier, Oh Chong Song, survived and told a Japanese newspaper last month that he had been drinking after getting into unspecified trouble with his friends. He said he kept going after breaking through a checkpoint in a military jeep because he became fearful of being executed. South Korea says the military agreement, which also included creating buffer zones along the Koreas' land and sea boundaries and a no-fly zone above the border, is an important trust-building step that would help stabilise peace and advance reconciliation between the rivals. But critics say the South risks conceding some of its conventional military strength before North Korea takes any meaningful steps on denuclearisation, as the larger nuclear negotiations between Washington and Pyongyang seemingly drift into a stalemate. 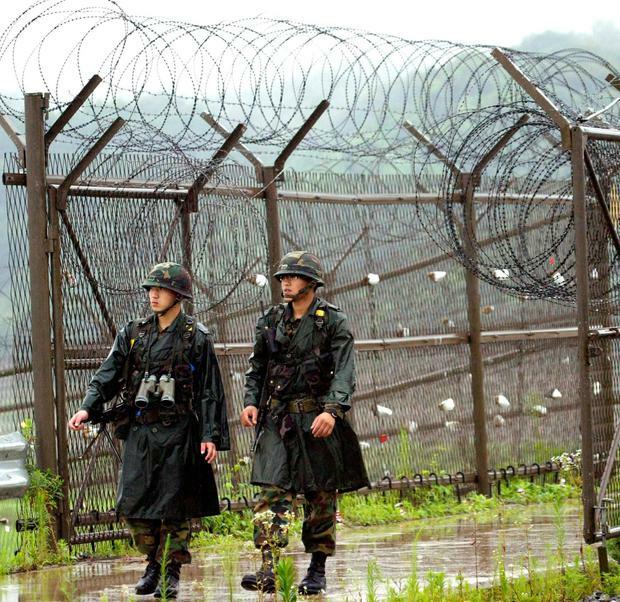 South Korea's Defence Ministry said on Friday that the Korean militaries completed removing 20 front-line guard posts and land mines from a border area where they plan to start their first-ever joint search for remains of soldiers killed during the 1950-53 Korean War.